We are an official Inca Trail tour operator based in the lovely city of Cusco, Peru. We are completely dedicated to the satisfaction of our clients. We offer tours and treks to Machu Picchu, Inca Trail, Salkantay, Lares Valley and more! There is something magical about words that are put in just the right order to inspire a kind of wonderment. A well written essay can inspire change, and a speech a riotous protest. However, one of my favorite set of words comes in the form of travel quotes. So for your travel inspiration I have compiled Valencia Travel Cusco’s top 10 favorite travel quotes! I hope you enjoyed these quotes. Life isn’t interesting living in only one place, so I hope 2016 is full of movement for our readers! If you have a favorite travel quote I hope you share it in the comments, or post in on our Facebook page. Wander on friends! If you spend any amount of time in Cusco, you will notice the significant amount of parades and fireworks. Peruvians are a festive and lively people, taking any opportunity to celebrate. No matter what month you choose to travel to Peru, you will be able to experience a holiday of some kind. 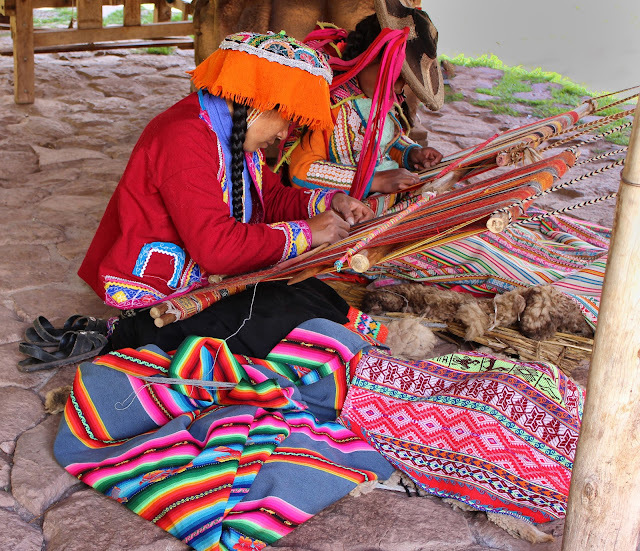 Cusco especially is a great place to be to witness these traditional festivals. For your reading pleasure I have compiled a list of common celebrations in Cusco and around Peru. Enjoy! Peruvians love fireworks. This is especially evident on New Years. For many days leading up to New Years, there will be stalls and shops where you can buy fireworks to use in the streets. On New Years in Cusco, many gather in the Plaza de Armas to watch the fireworks show that goes off at exactly Midnight. This is an amazing experience, but be careful! With fireworks going off all around you might sustain a couple burn holes in your clothes. This, like many festivals in Peru, is a Christian celebration. It is the celebration of the three wise men, and includes parades. Brasil isn’t the only country with a Carnival! This is especially big in Cusco where the locals will dance around Yunsa tree, and the city will be full of water related pranks! You may get a bit wet, but don’t worry! Its rainy season in February, so that would probably happen anyway. This is a holy week in Peru. It takes place the last week of lent, and includes many parades and processions, especially here in Cusco. This event takes place on Easter Monday and includes a parade with the mounted images of The Lord of the Earthquakes. This is a Traditional Andean holiday which celebrates the image of the Holy Cross. Another traditional holiday, a procession with the images of many holy Christian saints makes its way through the city to the main Cathedral located in the Plaza de Armas. In case you didn’t know, people from Cusco call themselves Cusqueñans. Cusqueña is also the name of a locally made beer, and in May there is usually a festival to celebrate this local treasure. The dates of this festival can vary. This traditional holiday entails a traditional ceremony at the ruins of Sacsayhuaman near Cusco. You can but tickets in advance if you wish to attend this cultural event. 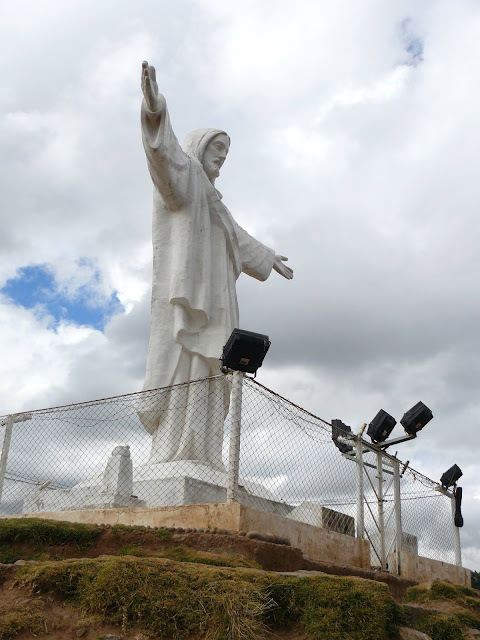 This festival takes place in Quillabamba and celebrates the anniversary of La Convencion. It usually included music, beauty pageants, and motocross competitions. This is a great day to be in Peru! National pride and Peruvian flags are everywhere. If you are in Lima, you can experience the 21 cannon salute. The actual Independence Day is the 28th, but festivities go for 2 days. This celebration of “Our Lady of the Snows” includes food fairs, traditional dance, parades, and in some places they even have bull fights. This day is all about a pilgrimage from Cusco to the stone sanctuary of Huanca to receive blessings from the shrine. It takes about 4-6 hours of walking to arrive. In October the people of Cusco celebrate their truism and all that it does for the local economy with a week-long festival. Dates on this vary. This is an important religious holiday for Peruvians celebrating the Virgin Mary and her immaculate conception. Like many other holidays, not many business are open, and there are processionals through the city of Cusco. This might be a good day to check out one of the beautiful cathedrals the city has to offer. 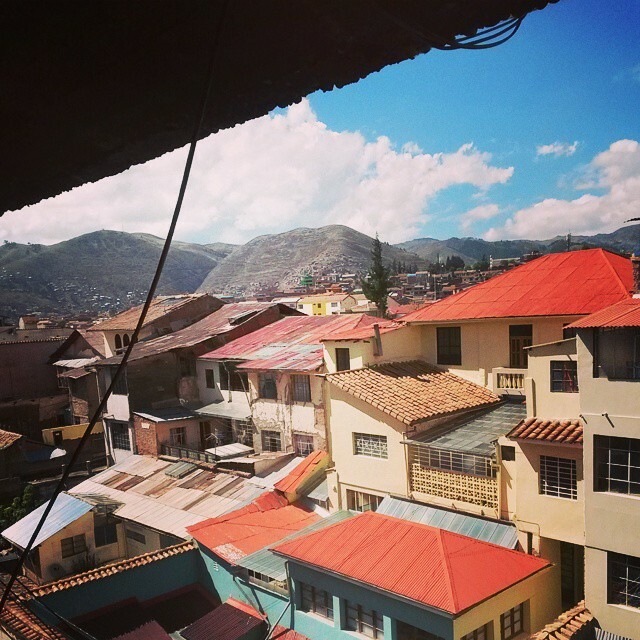 If you have to be away from home for Christmas, then Cusco isn’t a bad place to spend the holidays. At exactly midnight on Christmas, there are beautiful fireworks in the sky to celebrate the arrival of this special day. This is called Noche Buena, and in Peru Christmas Eve is actually more important than Christmas day. There are also beautiful markets that pop up around Christmas Eve where you can buy your loved ones a present. The entire city is filled with an almost electric excitement, and everyone is in a celebrating mood. Peru is a beautiful place with a unique culture. On any normal day you can experience something different from back home. However I would strongly encourage you to make an effort to experience some form of festival or celebration, especially in Cusco. There’s a strong possibility that afterwards, you might not look at parties the same way again! 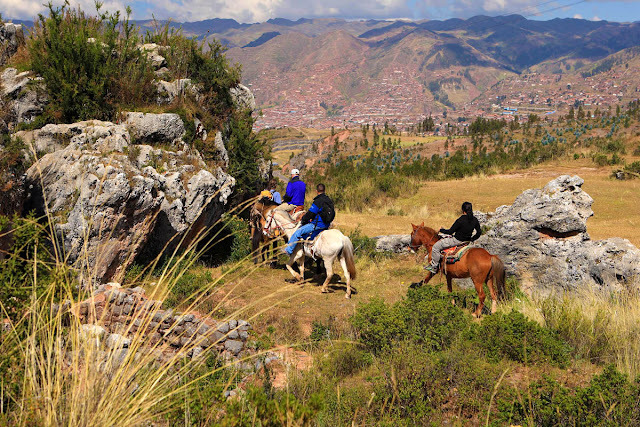 So you have a little time in Cusco before your big trek to Machu Picchu. You don’t have a lot of time, but you want to make sure you get in some of the little cultural experiences before you’re off on your next adventure. How to you prioritize all the different options? In this blog post, I have complied some simple cultural food and beverage options to try in Peru. The first on I have listed may make our vegetarian friends cringe a bit, but I wouldn’t be doing my job if I didn’t tell you about Cuy. Cuy is guinea pig. Yes, the same kind of guinea pig you had when you were a kid, and probably named fluffy or whiskers. Far from a pet, cuy is a local delicacy in Peru, served crispy and whole with all body parts still attached. So if crispy rat sounds appealing to you, check it out and make sure to get a picture to freak out your friends back home. You can find cuy being sold ready to eat in and around the local markets, and in many different restaurants that serve local Peruvian food. After your traditional meal you may be thirsty and want to wash your meal down with a refreshing local beverage. Number two on our list, Pisco Sour, is the perfect choice. The origins of the Pisco Sour are not completely known, but most believe that it originated in Lima Peru in the early 1900's. The common story is that the recipe we now know was created in a bar in lima by English Expat Victor Morris in the 1920's, but some believe it was around even earlier than that. 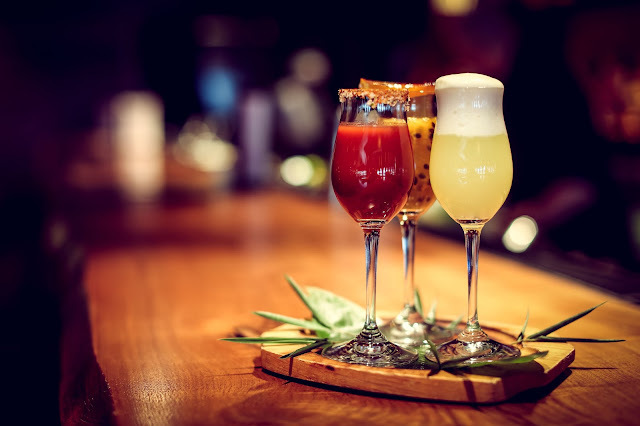 What we do know for sure is that the Pisco Sour has been around for more than 100 years, and usually contains Pisco, lime juice, sugar, and egg whites. If you like other kinds of sour drinks like whisky sour, odds are that you will enjoy this beverage! Coca leaves, not to be confused with its white powdery by product, are a traditional medicinal regularly consumed in Peru. When you first travel to Peru, you may notice that it’s a bit harder to breath, you may be a bit lightheaded when you walk up hills the first few days. Peru is at quite a high altitude, (about 11,000 feet.) Before there was modern medicine, there was coca leaves. 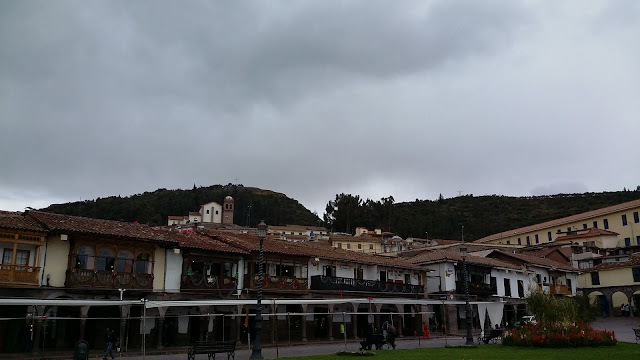 So if you want to prepare to trek the Andes, make sure you start and end your day with a steaming mug of coca tea, and to have some coca candies in your purse. Chica is a drink almost as old as Peru. Created by the ancient Inca, chica is a fermented corn drink that tastes a bit like sour beer. You can get a towering mug of this alcoholic beverage in traditional chicherias around the city, sometimes with some traditional food, and many people sell it in large buckets outside the plazas and markets. You can also buy other kinds of chicha like quinoa, beat and strawberry in juice form. Tred carefully! A couple soles worth of the original yellow liquid might be enough for even the most seasoned drinker. 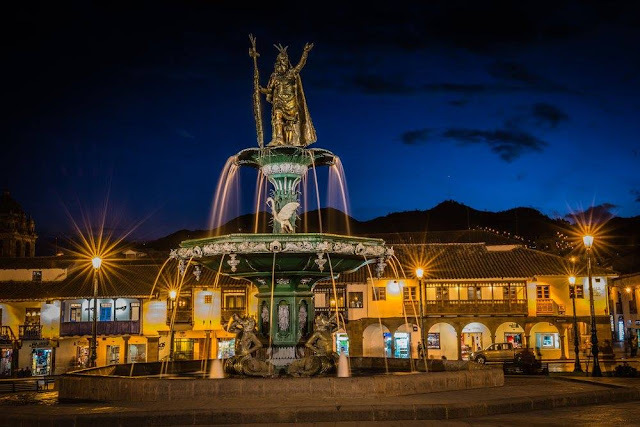 While Cusco is a must see city, and the starting place for many on their journey to Machu Picchu, there are so many other wonderful towns to visit. Many cities in Peru retain their original culture and many original Inca structures. One of such city is called Pisac and is located at the entrance to the Sacred Valley. Traveling to Pisac is simple, conveys leave from Cusco about every twenty minutes, and it takes around an hour to get to Pisac. The conveys leave about when it’s full, and only costs only about 8 soles or so, depending on the tourist season. Filled with fresh fruits and vegetables, you will find everything you need for a healthful snack, meal, or supplies for your next hike. 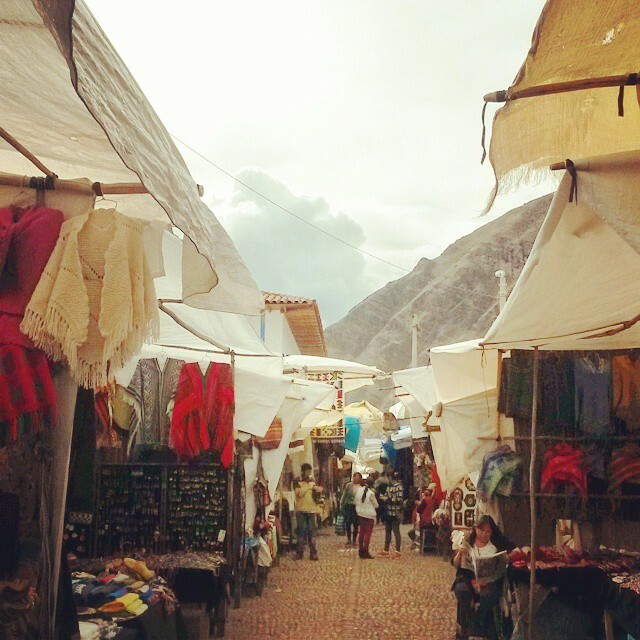 The market is located in the main square (Plaza Constitucion), and sprawls halfway across the town. It usually is opens in the morning, and is available most of the day. It includes many handmade crafts, and other things that would make great souvenirs! This is a great place to stop and do some shopping, especially if you are looking to get gifts for friends and family back home, or looking to stock up on fresh fruit for you next hike. Make sure you check what day you are going however, because the market is only open three days a week. I would argue that the most important place to visit in Pisac is the Pisac Citadel. Located high above the valley floor, the Citadel provides beautiful views of patchwork green fields, and of the city of Pisac far below. High above the valley, the people shops and animals look like mere toys. Before climbing however, make sure that you are physically prepared. It isn’t the hardest trek in the world, but nor is it the easiest. The traveler must take into account the higher altitude. Perhaps give yourself a couple days in Peru to acclimate, or indulge in some coca tea or chew a couple of coca leaves, as this is a natural remedy for altitude sickness. If you do endeavor to undertake the Citadel, make sure you get to the top so you can visit Templo del Sol. (Temple of the sun) Located near the top of the ruins, Templo del Sol is built around an outcropping of volcanic rock and is carved into the shape of a “hitching post” for the sun. There are several restaurants in Pisac, and a few where you can enjoy fine dining. There are also a couple of restaurant where you can get quality vegetarian and vegan dishes. At high tourist season however, you may be waiting a while for a table. But while you wait, perhaps you can get a biscuit and coffee at one of Pisac’s cozy little coffee shops. Most of these include free Wi-Fi, so you can upload our latest adventure photos while you have a cup of your favorite hot beverage. In addition to all of these attractions there are also little shops with artisanal crafts, beautiful churches and little tiendas to enjoy a glass of chica. (A traditional Inca fermented corn drink.) Whatever your reason for heading to the Sacred Valley, make sure you take the time to stop at the beautiful city Pisac to enjoy the local food, culture, and sights. Looking up from almost anywhere in and around the city of Cusco, it is possible to see Christo Blanco and nearby, the sprawling ruins of Sacsayhuaman. Historians can’t agree on the meaning of the name, some believe that it means satiated falcon, while other assert speckled head or city of stone. What we do know for sure is that it was Emperor Pachacuti who commissioned work on Sacsayhuaman in the 1440’s and that it took nearly 100 years to complete. Many diverse types of rocks were utilized in the construction, like diorite blocks in the outer walls, limestone in the foundations and andesite at rumicola for the towers and buildings within the walls. 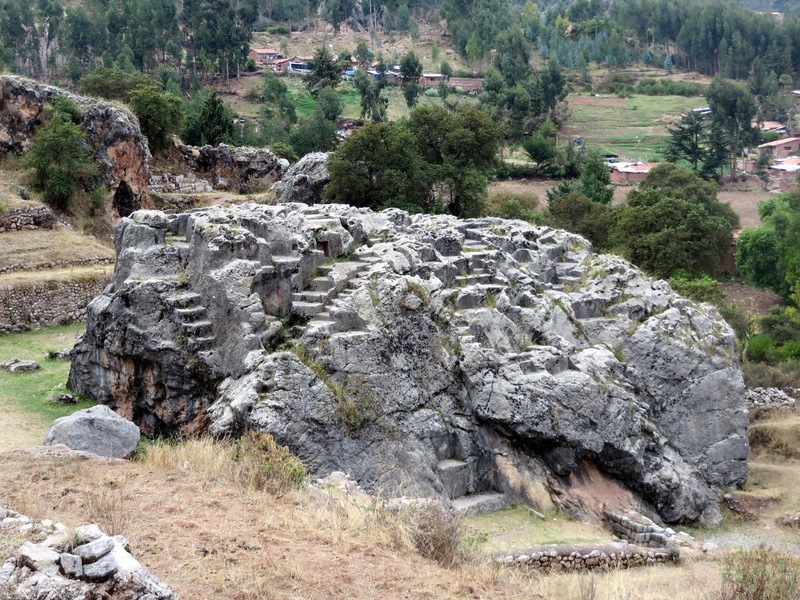 Now a days, one can find the ruins of Sacsayhuaman filled with tourists ready to explore some history. 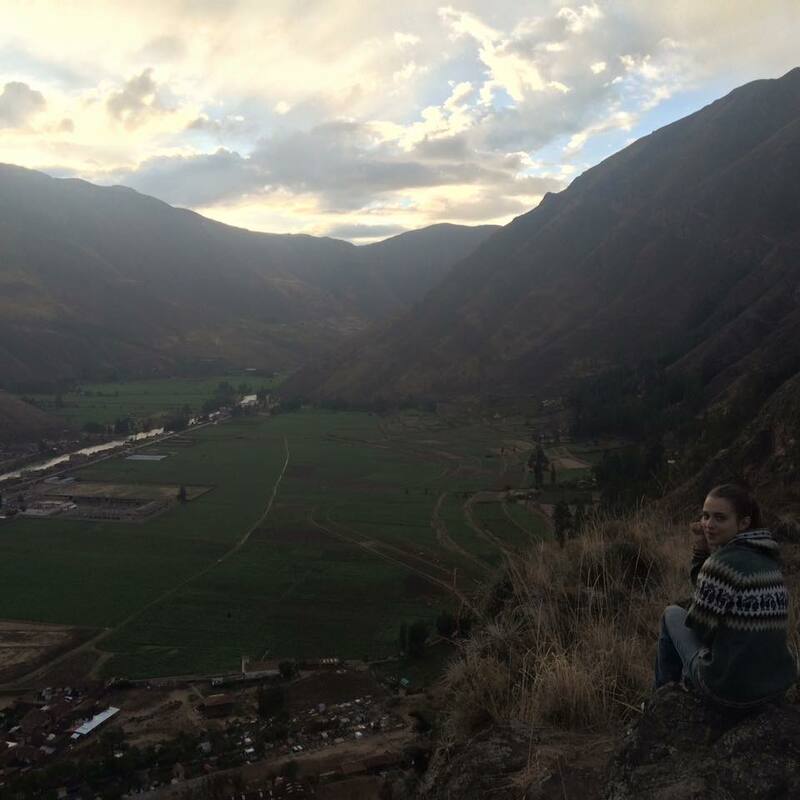 For about 70 soles, one can explore the ruins the rest of the day, and perhaps get some pictures overlooking Cusco. Not far off in the distance is the grand Christo Blanco, quite a site around dawn when the sun begins to shine behind him, waking up the sleeping old city of Cusco with its light. One can find tourists, joggers, and the occasional mystic preforming a sun ceremony in and around the ruins. It’s even possible to explore some of the ruins around Cusco on horseback! But back to the history. Sacsayhuaman was a highly protected area, one side had a great wall of enormous stone blocks like many other of the Incan sites, and the other side was a steep slope facing the city of Cusco. The construction of this fortress was an amazing task of architecture and will, being that the blocks could weigh much more than the men themselves. Even more impressive, the Incas made use of only the most basic of tools such as natural fiber ropes, stone hammers and bronze chisels. But upon completion of an Incan wall, a coin wouldn’t have fit between the stone blocks, that is how perfectly the blocks fit together. However, all of this carefully crafted stone couldn’t protect the Incan from the relentless assaults of the Spanish. During the battle of 1536, Juan Pizzaro (Son of Fransisco Pizzaro, one of the first Spanish conquistadors to come to South America) was killed leading the charge during a surprise assault on the gates of Sacsayhuaman. The Incas fought valiantly, repelling many of the invaders. An unnamed Incan Nobleman particularly held the defense together, killing many of the Spanish with one of their own swords. However as the conquistadors continued to try and scale Muyu Marca the last of the towers left in Incan control, the advantage shifted to the Spanish and their sheer numbers and bloodthirsty will to conquer what was not yet theirs. The Incan Noblemen, sensing the inevitability of defeat, leapt down from the tower into the oncoming Spanish rather than surrender in defeat. There would be no dishonor on his conscious at the end. Today all that’s left of Sacsayhuaman are of course, the ruins. However, even what is left behind by the Spanish is more than impressive, a testament to the architecture skills of the Inca. 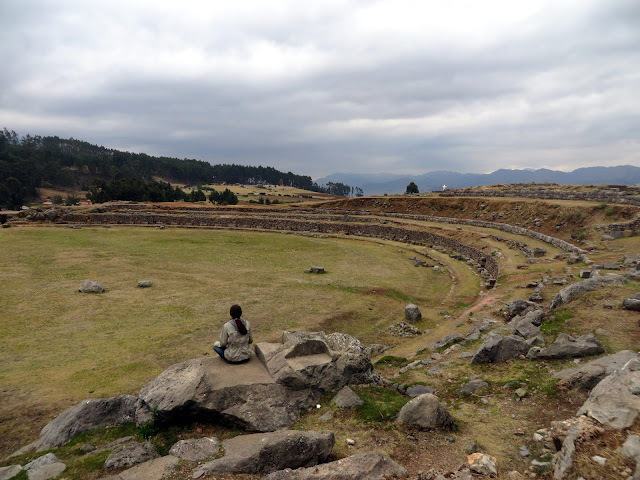 A dichotomy of emotions can emerge in the visitors of Sacsayhuaman. Standing in the ruins, it’s easy for the traveler to feel shame at something so beautiful and formally mighty, knocked down and reduced nearly to rubble but alternatively, feel awe that what was left behind remained for thousands of years. Even as a ghost of what once, the ruins are an impressive monument to the crafty Inca. On you trip to Peru, I highly recommend a trip up to Sacsayhuaman around dawn. If you stand quietly in the weak light, and look hard enough, you can perhaps picture the walls restored as they were in their glory days. Resting in the highlands and fed by two rivers, Cusco Peru is known as the ancient capital of the Incas. Walking through the city streets, it's as if you've traveled back through time to a place much different than anything you can remember. But there isn’t a place in the city quite so historical and mesmerizing as the main square. 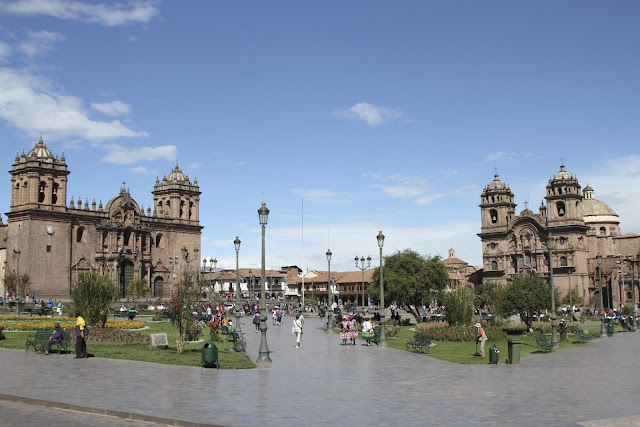 Known as the heart of Cusco, the bustling Plaza de Armas is the epicenter that we will be examining in more detail. The location of Plaza de Armas correlates roughly to the ceremonial Huacapata, or the Incas central plaza. 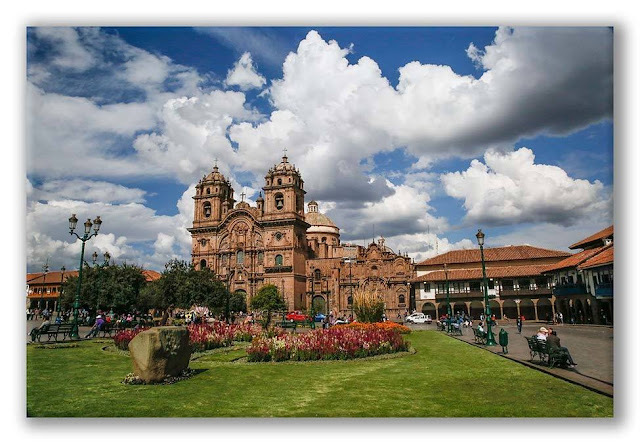 It is an ideal location to go to get your bearings in Cusco. A highlight in every city tour, any local will be able to point you in the right direction. If you opt out of a tour, it's also easy to find on any tourist map. Furthermore, even if it wasn’t the easiest place to find in town, this historic spot would be worth quite a long journey to see. When you arrive you can take a walk under the Portal de Panes, the covered brick pavement that goes all the way around the square. It is a beautiful spot, many of the restaurants having a second story all supported by pillars. You can take you time, walking around the plaza under the safety of the old columned roofs, and peruse the menus for dining options. It is an ideal place to go if you are hungry. In fact, there are many bars and restaurant to choose from, so many that it could at first be overwhelming. However, there are always servers standing outside with a smile, eager to tell you all about their options. In fact, if they could drag you into their respective restaurants, they probably would. While Plaza de Armas isn’t the cheapest place to eat in the city, you will definitely have your pick of exquisite meals and decadent local cocktails. Aside from the modern amenities you can enjoy, there are of course the historic draws of the Plaza. A main attraction for tourists is the old Cathedral, located in the Plaza on the foundations of the Inca Viracocha Palace. The cathedral is massive, but beautiful rather than intimidating. Anywhere you sit in the Plaza, you can see this grand old building towering over you like a monument from the past. Built in the shape of a Latin cross back in 1560, the Spanish and Peruvian influence is striking. There are two entrances to the Church, the grand main doors on the front. The second and more commonly used is through the Triunfo Chapel, the very first church to be built by the Spanish in Cusco. Another similar draw of the Plaza is the Temple de la Compania de Jesus. If you are standing in the center of the Plaza and looking downwards, it takes up much of the skyline. The building was first constructed over the foundations of Huayna Capac’s Palace of the serpents, in the late 1570’s. However, it was mostly destroyed by an Earthquake in 1650 and was rebuilt about 15 years later. When you enter, you can see the gold leaf altar, and as you further explore you will see wonderful oil paintings, guilded altarpieces, and majestic towers. The cool dim interior of the church is definitely worth a visit. Aside from the attractions in the main square itself, there are many things to see and do just outside of the Plaza. If you look up, you will see the ruins of Sacsayhuaman, and the commanding Christo Blanco. An amazing sight from the plaza, it’s even more magnificent close up. Any traveler will surely want to get pictures of it from far off, as well as from within. The outskirts and side-streets surrounding the Plaza are also full of shops, locals peddling their wares, restaurants, and museums. For example, the Museo Inka North of the cathedral, located just a bit uphill. Or the Museo de Historia natural, next to La compania. These are ideal locations to stop and learn some more in depth history after you have visited Plaza de Armas, and a great place to pick up some souvenirs. The main square really is the historical lifeblood of the city, a beautiful fusion of past and present. At the moment dressed up in glowing blue lights for Christmas, Plaza de Armas is a must see for every traveler visiting Cusco. We are a tour operator in cusco completely dedicated to the satisfaction of our clients. We offer trips to Machu Picchu, Inca Trail and Cusco, trekking to Salkantay, Lares trek area and the Ausangate mountain. Not sure when to visit Peru? Valencia Travel Cusco. Travel theme. Powered by Blogger.